In the summer of 2014, a group of multi-talented musicians with the last name Leahy put on a show in Bancroft, Ontario. The crowd was wowed. If you assume it was the Juno Award-winning, powerhouse Canadian folk-roots band, you’re wrong — but close. 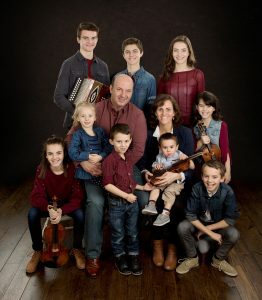 The Bancroft concert was the first performance for Next Generation Leahy, an amazing group of six accomplished sisters and brothers who have fiddling, step-dancing and all the rest of the Leahy magic imbedded in their genes. 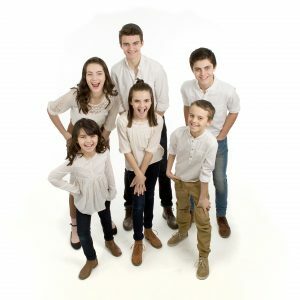 Like their dad, Doug, a member of Leahy, these siblings absolutely love music and, onstage, their dazzling combination of prodigious talent and toe-tapping joy is irresistible. 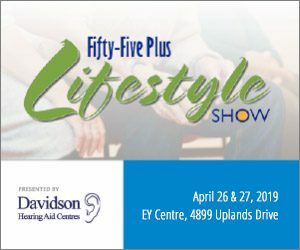 In the years since that first gig, they’ve performed across North America, and shared the stage with such high-profile acts as The Chieftains, The Tenors, We Banjo 3, and Natalie MacMaster & Donnell Leahy. There have been accolades aplenty and sold-out shows described as “astounding,” “breathtaking,” “exciting” and “full of energy.” It’s hard to believe only one of them, the eldest, is old enough to drive. This is something their dad understands well. Like his own kids, Doug took to music early while growing up in a big close-knit farm family in Lakefield, Ontario. His father, Frank Leahy Sr., was an accomplished fiddle player and his mother, Julie, was a singer, pianist and champion step-dancer. Even now, that’s still the way of things. As he puts it, music “is who we are.” Happily, he found a like-minded spouse. 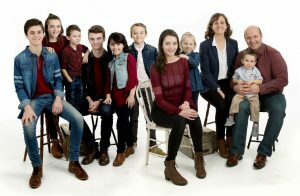 Doug, a fiddler and dancer who is one of 11 Leahy siblings, married Jennifer, a singer and pianist who’s the youngest of 13. Together, they’re raising the kids at the Leahy Homestead in Lakefield, where they operate a cow/calf beef farm. In all, they have nine kids. The three youngest are aged four, three and one-and-a-half. Since Jennifer has a teaching degree and the kids are home- schooled, schooling and musical touring are compatible. So far this year, Next Generation Leahy has played dates in North Carolina, South Carolina and Virginia. Upcoming concerts will see the band travel to places such as Edgerton, Wisconsin, Pawleys Island, South Carolina, and Providence Bay, Manitoulin Island, where they’ll perform at the Bluegrass in the Country Festival. “Being able to travel and to experience so many different places and things is key to their development,”Doug says. “We don’t travel as tourists. We get an opportunity to experience culture and live in a city in its ‘real’ state.We are privileged to see a place as it is, which has allowed us to meet so many great musicians and be exposed to so many great styles of music and dance.” The youngsters are taking it all in, he notes, adding these life experiences are contributing to how their music evolves. 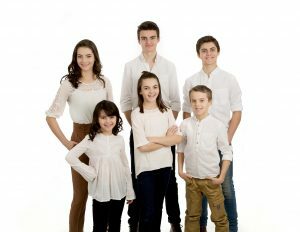 Over the years,and undoubtedly guided by his own experience, Doug has learned how to inspire his eldest three girls and boys, and how to make what they do exciting so that it’s not a job or a chore.The aim, always, is to make the music and performances enjoyable so the children will want to continue. Clearly, so far, they’re having a blast.